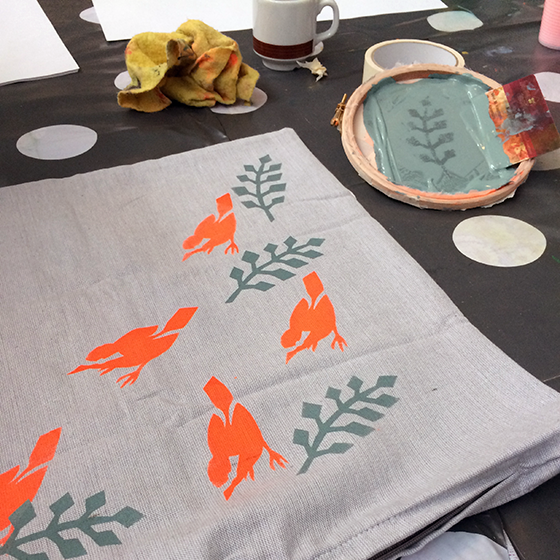 Femke Veltkamp, illustrator and designer, told me with great enthusiasm how easy a screen print like this can be set up, and how she applies it in her designs. This inspired me tremendously, and since Sunday, I've been meaning to use it more in my work. What a beautiful technique and what a great result! 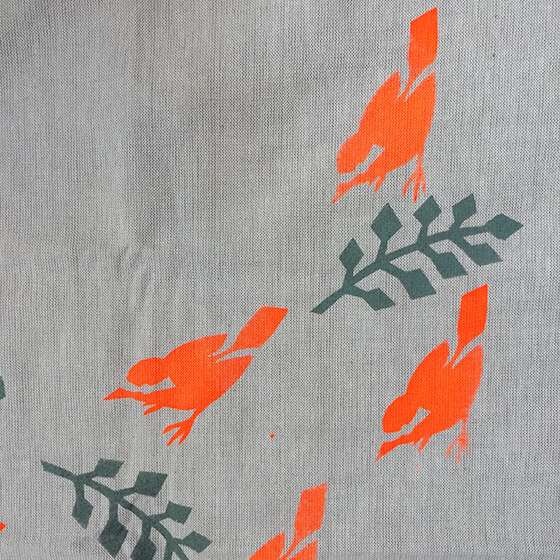 I had already heard of it: screen printing with very simple means. But I never thought that it would be so simple. During my academic years, I could use the professional screen printing workshop of the academy. You used a large screen print frame on which you placed your image using light-sensitive emulsion and lighting. The frame was sprayed clean and then screwed into a holder. Ink in the frame, paper underneath, and go. This seemed like way too much work to do at home. 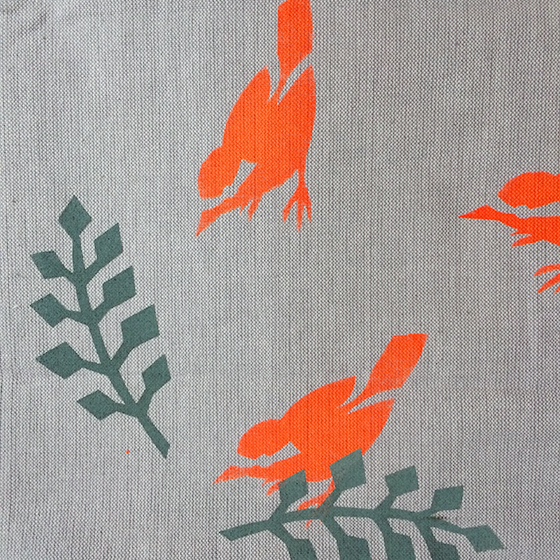 My curiosity was piqued when I read about the DIY screen printing workshop of Immerurlaub. Does this work? Last weekend, the moment was finally there, and I travelled to the Westerkade in Utrecht to work on my screen printing for a whole Sunday afternoon. Femke Veltkamp, illustrator and designer, told me with great enthusiasm how easy a screen print like this can be set up, and how she applies it in her designs. This inspired me tremendously, and since Sunday, I’ve been meaning to use it more in my work. What a beautiful technique and what a great result! What do you need? Among others, an embroidery hoop, net curtains, a sheet of plastic wrap, masking tape, a debit card, screen printing ink (okay, I don’t have this at home, I’ll need to order it ;)) and the paper or fabric you want your print to be on. 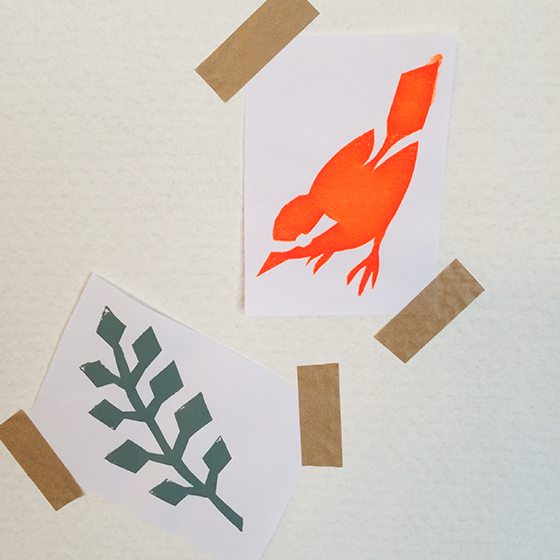 But I would recommend you look at the website of Immerurlaub or Femke Veltkamp for a fun workshop. Register and see for yourself. Enjoy! 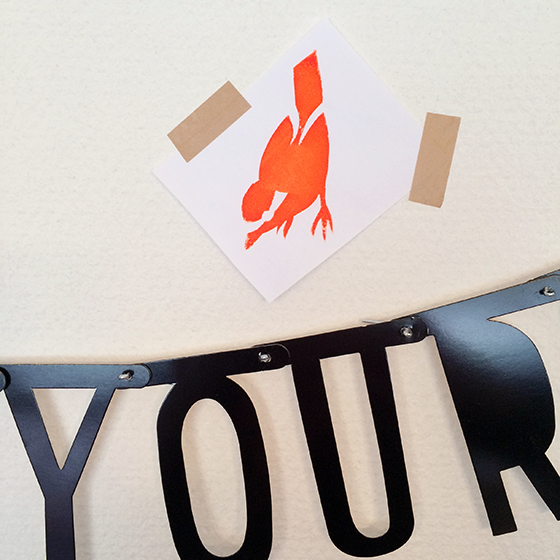 Have you participated in a workshop yourself? Or do you make screen prints? I would love to hear about it! Share your experience below.